GoXtra News: NANDOS: The Main Chicks is in town! NANDOS: The Main Chicks is in town! There’s a new place ekasi! Nando’s Maponya represents what Nando’s calls a Brand Evolution restaurant, a space designed to refresh and delight, complete with a hot new design and décor to boot. 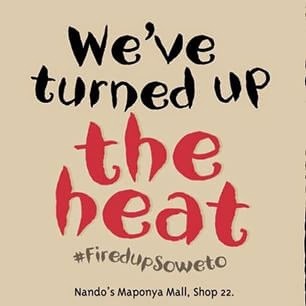 Added to this is the heat of some of the menu items which, for now, will be exclusive to Nando’s Maponya. Other innovations include a more comfortable and friendly takeout waiting area, no menu boards which have been replaced by our easy to read paper menus and snacks and beverages to enjoy while waiting. Your order is double checked with you from a basket before final packaging and a more open view of the kitchen where your food is prepared and cooked specifically to your request. The new Nando’s restaurant at Maponya Mall is different from what you have usually seen and we want to welcome our guests to a whole new fired-up experience. It appeals to a general sense of lifestyle by offering products to match the desires of those involved in a particular social scene. The heat of the smiles from the amazing restaurant staff as they welcome you to a Nando’s experience is like no other. The dine-in experience has been enhanced considerably to encourage our guests to linger longer with us, both at lunch time as well as for an evening entertainment experience. 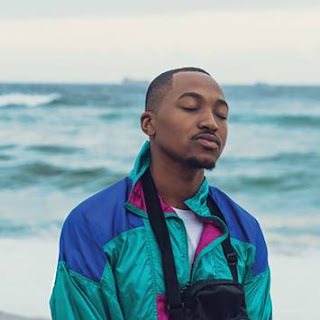 Besides the Hot Nandos Chicken, some of #TheMainChicksInTown will heat up Soweto and will tour Soweto before the launch… with their #MainChicks so come join us for a #FiredUpSoweto experience.